And you probably have no idea what I'm talking about do you? Well International Geocaching Day is this Saturday, August 15th and I think you should get to stepping, sneaking, and caching. Never heard of geocaching- neither had I until a couple years ago. Andrew and I were hiking near our house in California and all the sudden he starts launching into this magical description of a 'game' where people hide tiny logs in plain site and other geocachers go and find it. I was intrigued. Then I thought it was an elaborate lie. Then I decided it was the best thing I ever heard and we needed to do it ASAP. If you have ever played hide and seek or managed to suffer through a scavenger hunt with me, then you know that geocaching is right up my alley. 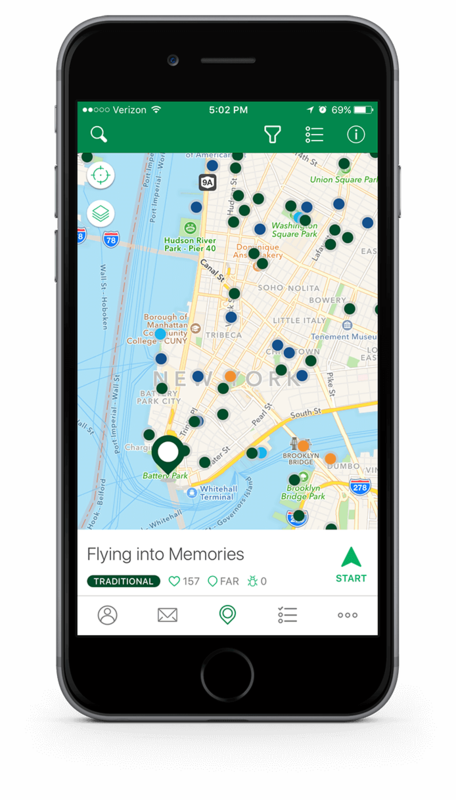 The geocaching website describes, "Geocaching is a real-world, outdoor treasure hunting game using GPS-enabled devices. Participants navigate to a specific set of GPS coordinates and then attempt to find the geocache (container) hidden at that location." And let me tell you, the crazy comes out while caching. I know I'm a competitive person (so sometimes my responses can be extreme), but knowing that something is THERE right in front of you HIDDEN so you can't find it... makes me refuse to take no for an answer. Except a couple of times- in which, I went back to get the caches later. Caches can look like almost anything and be hidden almost anywhere. We have seen ones as big as our palms and microcaches as small as... well I can't give you any hints on what they may look like. Sometimes caches are plastic with a log inside the cache and sometimes you can do a trinket exchange if the container is large enough. Don't think they are near you? I doubt it. We have found (and not found) some caches everywhere from downtown near where we live to remote hiking trails miles away from civilaztion. There are over 2.6 MILLION caches around the world. One time we explored a new city by wandering from geocache to geocache- it was one of my favorite ways to go through town. And it is social too. You login and download the app to your smart phone, start caching, and then share your experiences. Some people put up tips or hints- which have actually been REALLY helpful in the past. And the best part about all of this is that it is FREE. Not cheap, but free. Download the app and start caching. Andrew and I have been on multiple date nights where we cache our way across town. It is fun and you feel so sneaky trying to fit into your surroundings while studiously searching for a cache. This is not a promotional post (although, hey Geocache get my number) but it is fun. It is a great way to get off the couch and switch up your routine a bit. Whether it is dabbling on a walk with your dog or a girls night geocache, it is a great way to try something new. Now, go find some caches! Wow this is so cool!!! I'd heard a ton about geocaching before but never really understood what the heck it was - until now!!! Will have to check it out sometime! This is so interesting! I had no idea geocaching existed but I just did a google search in my city and it's huge! I feel like I have been living under a rock. It is so cool! And what a great way to explore a new city!! Thank you for introducing me to this!! I’ve briefly heard about this, but didn’t really know how it worked! I used to love scavenger hunts and this is the perfect modern version! I've never geocached but always wanted to. It's like a treasure hunt. I'm also really competitive!